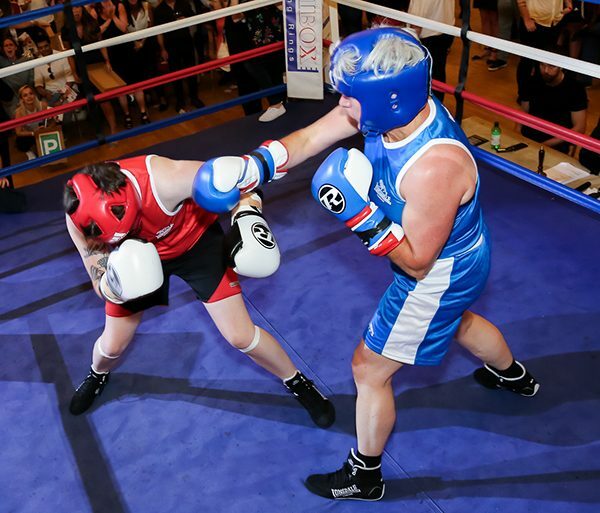 PRIDE BOXING is an annual white-collar boxing event held in association with Pride in London. Our debut event in 2017 exceeded expectations and had us proudly featured on BBC news, Evening Standard, London Live & Timeout. Last year in 2018 our show was hosted by Johnny Nelson along with Sky TV at the glamorous Porchester Hall . This year we are back for ROUND 3 DO NOT MISS YOUR CHANCE TO FIGHT! This is an official event of Pride in London with the event proceeds supporting the LGBT+ community. No experience is needed to take part and all participants receive 10 Weeks free boxing training to prepare for the event! Training begins on 30th April with participants based at one of two training camps; Cobra Gym Victoria or Durrants Gym, Kings Cross. We encourage everyone to take part in this prestigious event and are taking applications NOW! – Photos, medals/trophies and more! Your 10 weeks training and participation are free. The £50 sign-up deposit is 100% refunded once 10 tickets are sold. Ticket proceeds go towards Pride in London and each guest is asked to fundraise £50. Boxers who raise £100 or more will receive a Pride T-shirt! Pride in London is a not for profit organisation which aims to raise awareness of LGBT+ issues and campaign for the freedoms that will allow the LGBT+ community to live their lives on a genuinely equal footing. We are happy to announce that we will be back in London for a third year of Pride Boxing in 2019. SIGN UP HERE! !